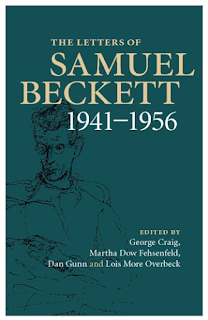 Soon Beckett’s stipulation that only letters with a bearing on his work can be published will be repeated as often as Kafka’s request to Max Brod. The difference is that we may regret Beckett’s executors were not so disloyal. What ever the riches the letters contain, we will always wonder about those bearing on the life. However, the latest volume stresses the unavoidable and indeed necessary nature of such wonder. The cover of volume two announces letters from 1941 to 1956, yet the first letter is dated 17th January, 1945. The missing years were those of war, most of which Beckett spent living and working in a farming community deep in the “free zone” having escaped occupied Paris on the brink of arrest. From there he sent postcards to his family in Ireland, which they didn’t receive and, on January 12th 1941, he sent a “pre-printed lettercard” to James Joyce. A facsimile is shown in the introduction. Joyce died the next day. 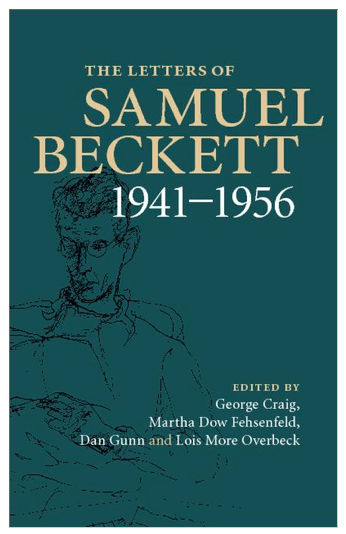 If we cannot have direct access to what Beckett experienced in that time, it remains indirectly sensible. The anxious verve of the brilliant young writer is replaced by a quieter man, still gravely lyrical yet less prone to hyperbole, much more forgiving of third parties (unless it’s Alexander Trocchi) and more focused on writing, just writing. What makes the editors’ task particularly daunting (that is, in persuading the executors to publish) is Beckett’s reluctance to discuss the detail of his work. When he does mention what he has written, he is excessively dismissive. So, rather than offer a review of the letters, I want to focus on this apparent oddity. Poetry, ladies and gentlemen: an expression of infinitude, an expression of vain death and of mere Nothing. The same dizziness occurred with the line of Rene Char’s that Blanchot also quotes: The poem is the realized love of desire still desiring. Years of familiarity may have calmed the dizziness, and the sediment of acquired understanding buried recognition, but each time I read these sentences, the vertigo of those moments returns like a jolt of a train and a green light from the countryside. Does it have to be these words precisely? In Carcanet’s Collected Prose, until this year as far as I know the only English version of speech available, Rosmarie Waldrop translates the line as: Poetry, ladies and gentleman: what an externalization of nothing but mortality, and in vain. 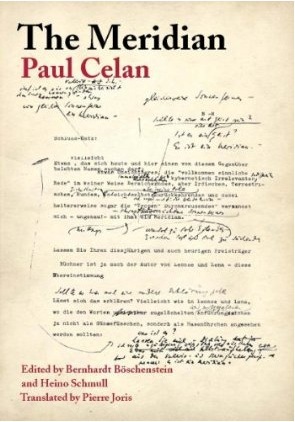 James K. Lyon, in his study of Celan’s dialogue with Heidegger, translates it in passing as: this endless speaking of nothing but mortality and gratuitousness, and in Pierre Joris’ extraordinary new edition entirely dedicated to the speech – not only a new translation of the speech but of its drafts and materials, based on the German critical edition – the line is: Poetry, ladies and gentleman: this infinity-speaking full of mortality and to no purpose! When I read these new translations, the experience is one of distance. It is certainly not a problem of translation; the fidelity of each is not in question – try putting Die Dichtung, meine Damen und Herren -: diese Unendlichsprechung von lauter Sterblichkeit und Umsonst! into Google Translate. It happens with Char’s line too: both Kevin Hart and Susan Hanson translate Le poème est l'amour réalisé du désir demeuré désir as The poem is the realized love of desire that has remained desire. Nor is it a problem of amended meaning: the lines that moved me do not necessarily assert a demonstrable, objective truth that any fair translation or paraphrase can repeat with ease. So why this distance? Is it anything other than the melancholy romance of nostalgia? The Meridian itself may offer an answer in that it addresses specific people on a specific date and in a specific place. What follows then is an attempt to summarise the speech in all recognition of the violence of such an attempt.